Today everyone is behind data; whoever has big data rules the world. Companies pay a hefty amount to data mining firms and data scientists to gain hold of data. 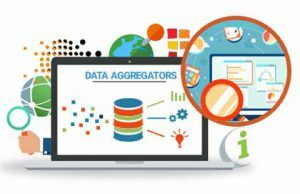 Like the name suggest this means digging of data, the process of extracting usable data from a large set of any raw data, it means analyzing a large chunk of data with the help of one or more software. The application of data mining can be executed in multiple fields, such as research and science. Businesses can learn more about their customers and develop effective strategies to leverage resources in a more optimized manner. Data mining uses sophisticated algorithms to evaluate the probability of future events. analysis. Complicated data have the potential to unravel relevant insights. The major consumers of these data are banks, manufacturers, retailers, and telecommunications providers. The techniques to mine the data have become more sophisticated, because of data we’ve been looking ahead by mapping out patterns into the future. Data mining does not work by itself; it discovers hidden information in gathered data. Data mining won’t give out all the Information; it discovers predictive relationships which are not necessarily causes of behavior. For example; data mining will determine that males with income of 30000-60000 who have certain subscriptions will buy a given product. This information will help companies to develop a targeted marketing strategy; however, data only will give the leads that a consumer might be interested in the product but it doesn’t say that they will buy the product because they belong to this population. Which tools can be used to mine data? There are several tools to mine data, some of them are open sourced and some are paid. Here are a few tools which can help in mining the necessary data. Rapid Miner is one of the best and open source tools to predictive analysis, this tool can be used for a various range of applications including for business applications, research, machine learning, and commercial application. Weka also known as Waikato Environment, this software is based on the freemium model. This can be used for data analysis and predictive modeling, this software contains algorithms which supports machine learning. Sisense is licensed software. This is extremely useful and suited when it comes to internal reporting within the organization. This software helps in generating highly visual reports; these are specially designed for non-technical users. Data mining solves few problems and will lead companies to their customers by analyzing data which are already in the database, but this also takes the right skills and tools to execute and get desired results. The scope for finding the necessary findings will be ever greater, companies as long as they can figure out how to mine and execute it effectively. Businesses will be able to learn about their consumers, the tools will help to make business decisions with the gathered data.